Today was our last first day of preschool. Technically Will is in Pre-K this year, but it's the last year before we put him on the bus. He is so excited to eat lunch this year at school with his friends. This is a big year. There's a lot to prepare for because Kindergarten isn't what it used to be. The kids sit and work and go into school knowing how to read. 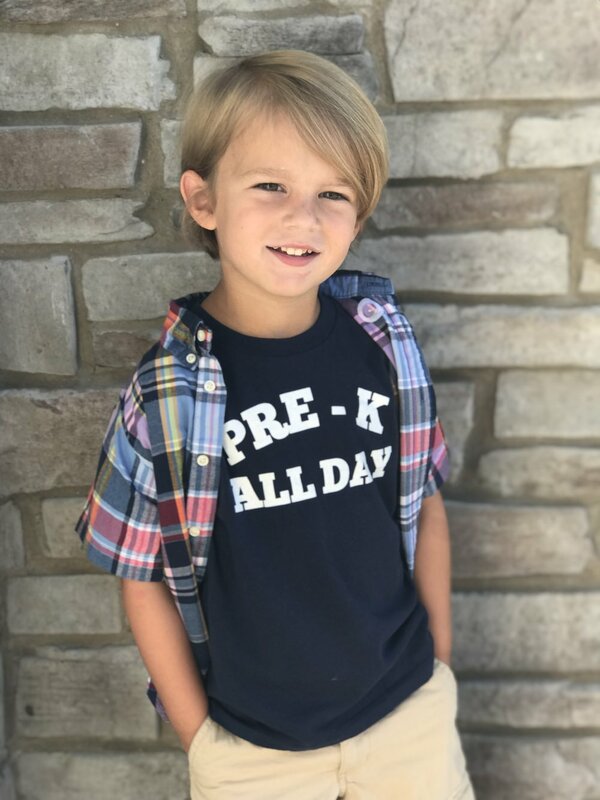 PRE-K ALL DAY shirt available in our Etsy shop. This is Will's last year to be little. Before homework and after school activities. When a full day is still shorter than a real school day. This is also a big year for us, the parents. It's the first time all three kids will be at school all day. Even if it's only on Tuesdays, Wednesdays and Thursdays. I'm waiting for the feeling of excitement that I thought I would experience but really I'm just kinda sad. This year feels like dipping our toes into what is to come. And to be honest, I'm a little nervous. Sending all three kids to school full time is the biggest life change since having our first baby. 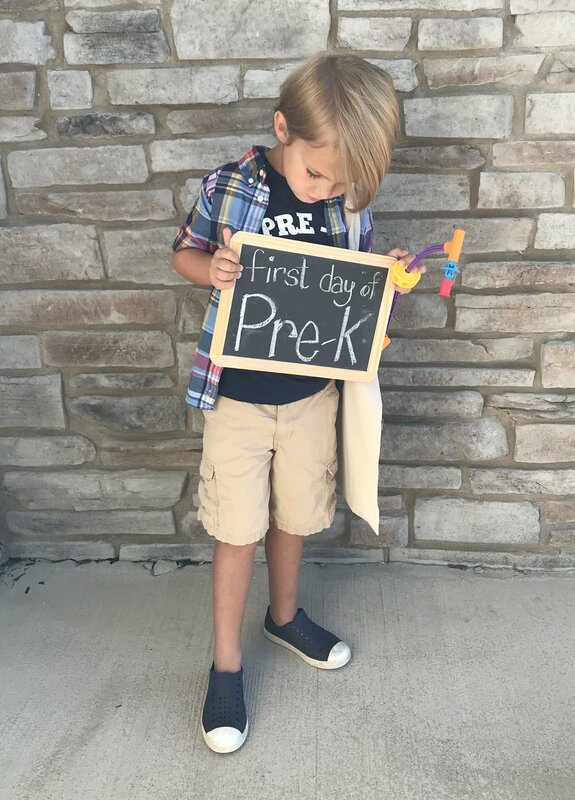 But for now, I am just holding my breath, hoping that when I see him in the school drop off line he is smiling and happy, telling me all about his great first day.